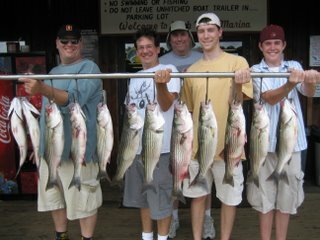 Caught bait easily this morning , picked up my clients at the dock and went in search of the ever elusive Striper School. We checked 35' flats with no success and moved to 25' flats where I found a small school . 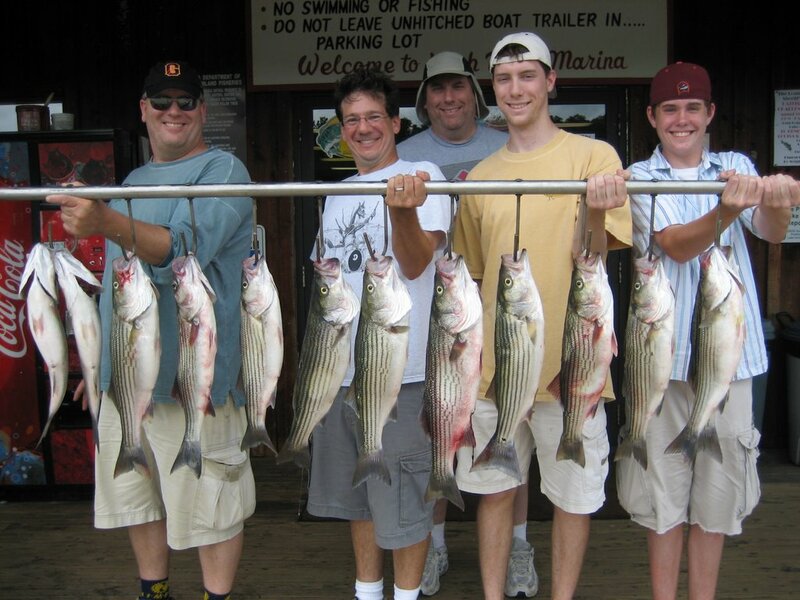 We put downlines on them and caught 9 Stripers before the catfish ran us off. We checked other 20 to 30' flats with little luck. Found a large school in 22' but all we caught were punks. " Boom Boom" caught the majority of the punks. After 4 hours of fishing and looking I decided to head down lake and on the way found a school at the 208 Bridge, worked the same school all the back to the splits before we ran out of baits. Lost count of how many fish we caught but we went through 200 Herring , clients kept 13 Stripers to take home.